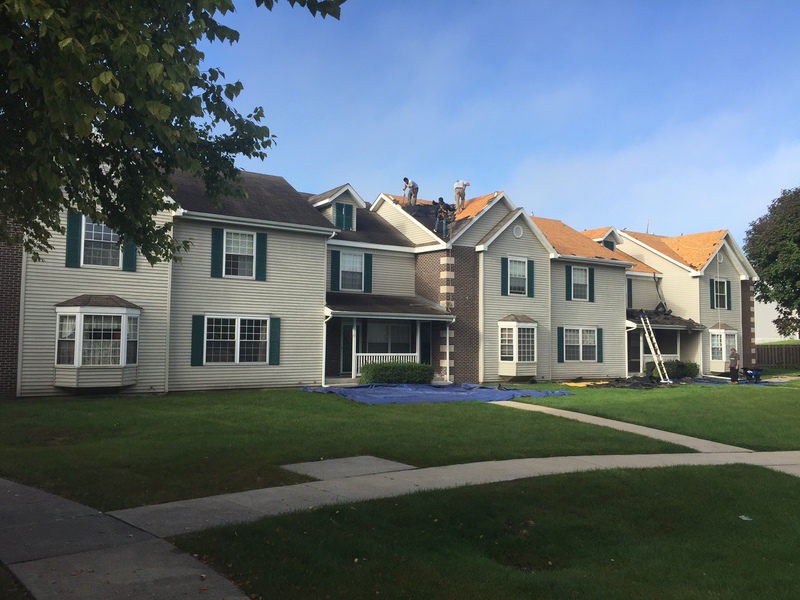 Roofing an entire condominium/townhouse community or multiplex apartments can prove to be a complicated challenge for most roofing companies. There can be limited site access, several stories of height, and each roof has its own specific issues to be addressed. Not only do we need to care for the roof itself on each structure, there are several to hundreds of homeowners or tenants to please. At Roof Iowa, we have years dedicated to servicing large complexes. We are well versed in dealing with elected managing boards as well as a variety of owners all with concerns and needs that must be met during the re-roofing process. Our project management is comprehensive in each step addressing each need, start to finish, from initial inspection, report, bidding process, financing, implementation of the scope of replacement and reconstruction by trained installers, keeping owners and tenants safe, quality control and inspection. Some roofs don’t need a full replacement immediately, and Roof Iowa will assess the damage and restoration need. Immediate repairs can be made to stop emergency water penetration and schedule permanent repairs – regardless of the company that originally installed or the materials used. Roof Iowa has maintenance contracts for Home Owner Associations and property management companies. Plans include full roof evaluations, a report breaking down of the current roofing conditions, recommended immediate repairs, remedial repairs, annual maintenance and a continual roof condition assessment. This report gives HOA’s and property management invaluable information to maintain the roof each year and know when and how much to budget for a new roof. We work with a wide variety of residential and commercial customers to provide customize maintenance plans to fit each individual customer. Roof Iowa maintains a 5-star rating on several review sites by Building Iowa’s Trust One Roof at a Time. We are locally and family owned, fully insured and licensed with the state, servicing Ankeny, the Des Moines area and Central Iowa. Please call us today at 515.612.3889 or email on our contact page to learn more about replacing your Condo/Townhome or Apartment Complex roof system.